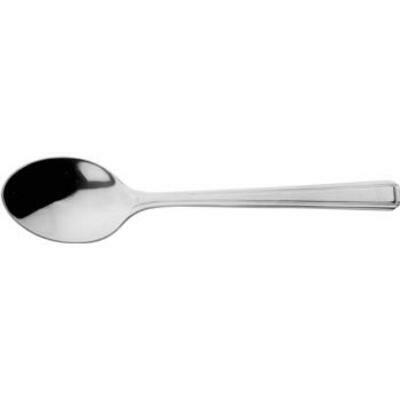 Made from a hard wearing and durable stainless steel, this Parish Harley Tea Spoon is suited to a wide range of business environments. Polished to a high sheen, each one can be used to replenish your existing collection or prepare any business for a larger party. They are slightly weighted and shaped purposefully to make use as easy as possible while also adding a premium feel that appeals to everyone. Thi large and economic pack size is best suited to busy environments and works well within both kitchens and catering-specific businesses. Our Parish Harley collection also features a Tea Spoon, Fork and Dessert Spoon. And, while you're here, consider adding items such as our Dinner Plate in white to your basket and ensure you're fully stocked up for the next meal time.